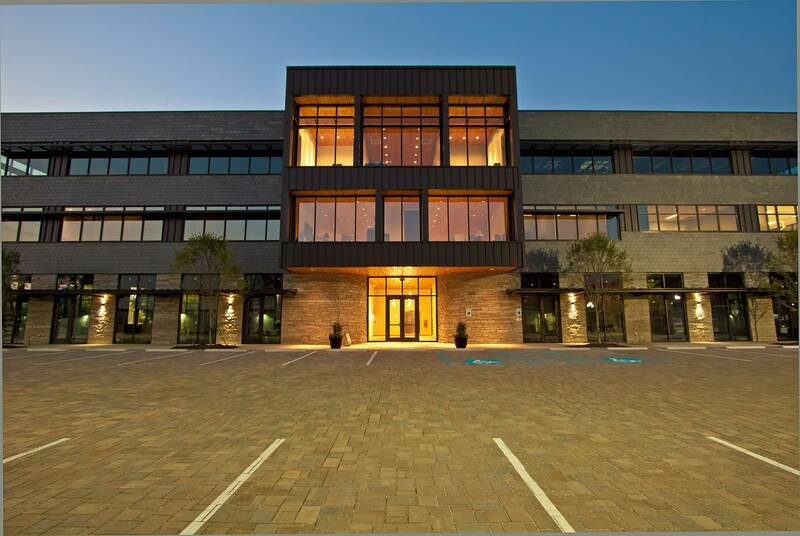 Southern Surgical Arts, located at 1401 Cowart Street in Chattanooga, Tennessee, is a new 22,000 square-foot multi-use office building. This building is anchored by Drs. Carey Nease and Chad Deal of Southern Surgical Arts who will occupy the entire second floor in a state of the art cosmetic surgery suite. The first floor will house retail space and the third floor will be comprised of office space. 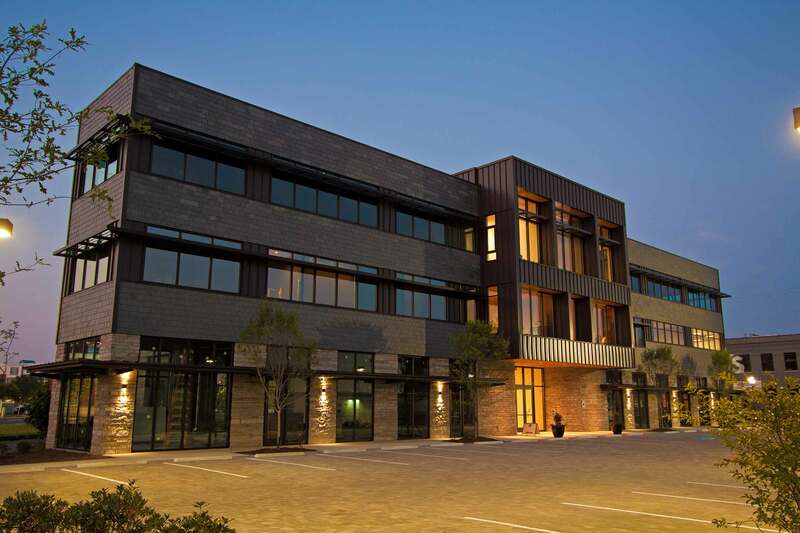 The building is a structural steel frame while the exterior is made of stone, slate, and a curtain-wall system. The exterior site work is equally impressive with an extensive landscaping package which includes all parking areas that are constructed out of brick pavers. The brick pavers are both beautiful and environmentally friendly at the same time. The interior is equally as impressive with such features and a combination of wood, slate, and stained concrete flooring to the wood ceilings, and dichroic cast glass accent walls. The site in and of itself posed a particular challenge and is constructed on a vibratory pier foundation.